How Steve Ditko left the comic. 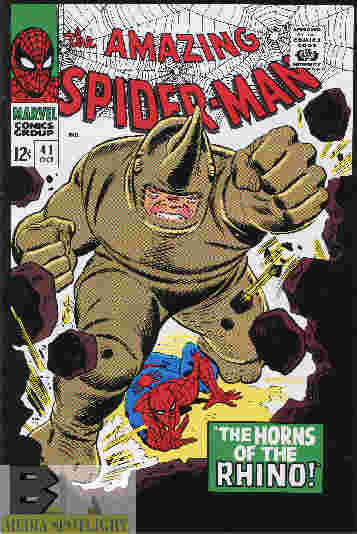 After Steve Ditko, co-creator of Spider-Man and artist for the early years since Amazing Fantasy #15, had his falling out with Stan Lee a new artist had to be chosen to continue the series. John Romita Sr. was the man chosen, but how did he get the gig? Hero Journalism posts an old interview the host had with the legendary artist, discussing the events that led him to work on a superhero he never knew anything about. You can seem more Hero Journalism interviews and commentaries on the creator’s YouTube channel. Posted by ShadowWing Tronix on February 13, 2019 in Marvel Spotlight and tagged John Romita Sr, Spider-Man, Stan Lee, Steve Ditko.